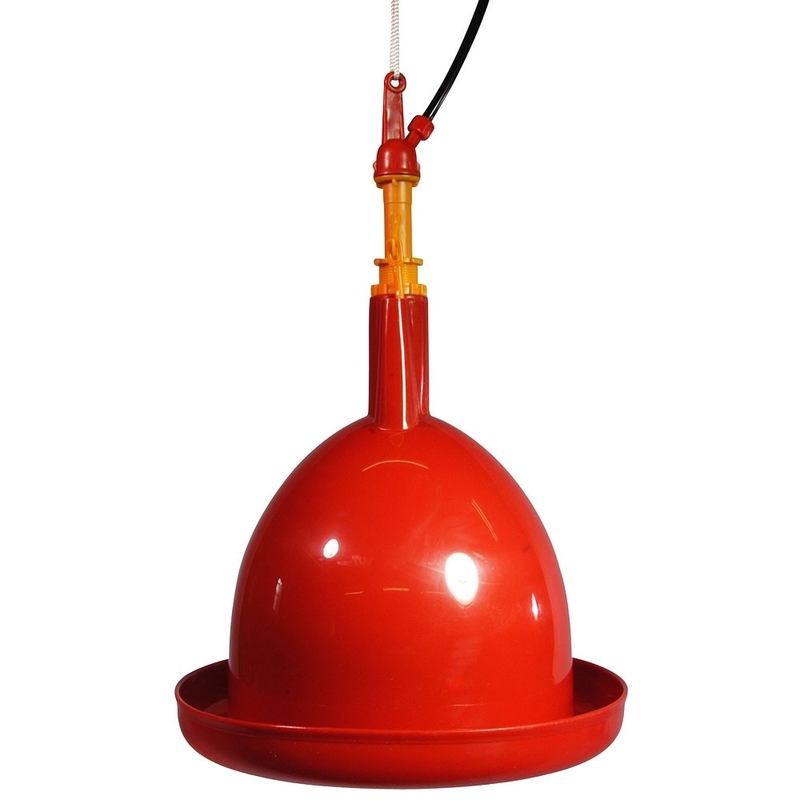 Automatic poultry drinker, Can be suspended or placed on flat surface - For low pressure water supply only. Top quality poultry drinker designed for constant, heavy use making these drinkers one of the most versatile heavy duty drinkers available on the market. We have used this product with our own free range flock for several years now with only minor servicing requirements, we are 100% confident you will be satisfied with this product! • Suitable for up to 150 full sized hens or 300 chicks if used in larger brooder / shed systems. • Designed to sit directly on the ground or hanging. • Water depth in drinker is adjustable from 10mm to 40mm depth. • Comes complete with 3 metres of hose, rope for hanging and shut off valve. • Contains a weighted ballast you can fill with water or sand to stop unit swinging around even in high winds. • Overall size is 340mm diameter x 500mm height. PLEASE NOTE: This unit is designed to run off low a pressure water supply with a maximum working pressure of 0.2 to 0.5 bar (8 PSI Max). Totally suitable for a gravity feed supply. (A mains to gravity supply convertion system tank will be available later 2018 or check out our mains pressure valves here to make you own home made gravity supply system).